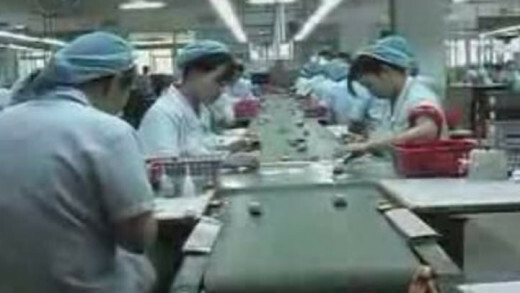 Santa’s Workshop — Inside China’s Slave Labour Toy Factories shows the long working hours, low wages, and the dangerous work and conditions inside these toy factories. Workers who protest or try to organise unions risk imprisonment. Low labour costs and government protections for multinational corporations attract more and more companies to China. Figureheads blame the Chinese suppliers, but they say in the same sentence that increasing competition gives them no option. What and whom to believe?